A protected area is a clearly defined geographical space that is recognised as and dedicated to achieving the long-term conservation of nature — with its associated ecosystem services and cultural values — and is managed, through legal or other effective means, to do so. This is the essence of the definition provided by the International Union for Conservation of Nature (IUCN). Protected areas encompass a wide variety of natural and semi-natural environments. Historically, they have taken many forms, from indigenous communities’ sacred sites and medieval hunting reserves, to more modern national parks and nature reserves. These different forms reflected the different needs that these areas were created to serve. After the Second World War, the increasing appreciation of nature's intrinsic value founded the idea that a protected area's main role was to safeguard biological diversity. However, since the 1970s, a more blended model has emerged, in which protected areas are viewed as a critical component of a life support system, a repository of biodiversity and at the same time a potential source of economic wealth, provided that wealth is sustainably used. Increasingly, the social and economic value of protected areas receives recognition from society as people become more aware of the ecosystem services that protected areas provide beyond preserving biodiversity. These services include clean water, temperature regulation, food provision and aesthetic value. The management regimes of protected areas vary greatly. Some protected areas ban activities such as hunting or extraction of natural resources, while for others, human activities are part of their identity and even necessary for maintaining and restoring target species and habitats. Participation and involvement of people is a key factor for the establishment and management of protected areas. In an attempt to describe and categorise the different management approaches in individual sites, the IUCN has identified seven different protected area categories based on management objectives. This change in perception of what a protected area is has also involved a shift from conceiving the protected area as an isolated space, to recognising it as part of an ecological network. Protected area networks allow for a more effective and harmonised management of the shared natural heritage. The concept of promoting international cooperation for the conservation and wise use of natural heritage has also gained appreciation since 1970’s, giving rise to international types of protected areas and networks like the Ramsar Wetlands of International Importance. At the EU level, through the Birds and the Habitats Directives, the Natura 2000 network was established. Its purpose is primarily to ensure the conservation of targeted species and habitats of European interest. The Natura 2000 network is largely complete as far as the terrestrial environment is concerned and connectivity — spatial and functional — of Natura 2000 sites across national borders is relatively good. However, the marine component of the network is still largely incomplete in many countries, and mostly includes inshore waters leaving the offshore waters with poor protection levels. More information on the progress of the Natura 2000 network is available from the Natura 2000 Barometer. The last century saw a great increase in both the number of protected areas and the total surface area that has received protected status. With more than 120 000 sites designated across 52 countries, Europe accounts for more protected areas than any other region of the world. The size of Europe’s designated areas varies greatly, ranging from an individual tree to over 97 million hectares (ha) for a site in Greenland. Nevertheless, ninety per cent of sites measure less than 1000 ha. To some extent this large number, but relatively small area, reflects the high pressure on land use arising from agriculture, transport and urban development in Europe. Protected areas in Europe reveal in many cases a considerable geographical overlap between different designation types at regional, national and international levels. The designation types are in many cases complementary. European policy regarding protected areas is mostly the product of initiatives from two main sources: the United Nations Convention on Biological Diversity and the European Union itself. Several instruments have promoted the creation of protected areas through specific provisions such as the Ramsar Convention, the World Heritage Convention, UNESCO Man and the Biosphere Programme. At the pan-European level, the Convention on the Conservation of European Wildlife and Natural Habitats (Bern Convention) has also led to the designation of protected areas (Emerald network). At the EU level, several directives have been particularly important for the creation of protected areas: the Birds Directive and the Habitats Directive. As the European Union is also a signatory to the Bern Convention, the Natura 2000 network is in practice the EU’s contribution to the Emerald Network. The EU biodiversity strategy to 2020 is the main policy frame for EU action to address wider biodiversity goals. Target 1 of the strategy refers to the completion and good management of the Natura 2000 network. Centralised information about European biodiversity – policies, data and assessments – including further information about the Biodiversity Strategy to 2020 can be found in the Biodiversity Information System for Europe (BISE). The European inventory of Nationally designated areas (CDDA), is an Eionet core data flow maintained by the EEA, which holds information about protected areas and the national legislative instruments that directly or indirectly create protected areas. The CDDA is the official source of protected area information from European countries to the World Database of Protected Areas (WDPA). The European Nature Information System, EUNIS, is a web application, which brings together European data for protected areas (Natura 2000 data, nationally designated areas (CDDA) and European Nature Diploma Areas (Council of Europe)) and their relation to species and habitat types. The Natura 2000 network viewer shows the most recent EU wide dataset received annually from the 28 EU Member States. See more on EEA activities for Natura 2000 here. The EUNIS information system and the Natura 2000 network viewer are parts of the European Biodiversity Data Centre (BDC) hosted by the EEA and it is a contribution to the knowledge base for implementing EU and global biodiversity strategies and the 7th Environmental Action Programme. A comprehensive overview report of Protected Areas in Europe was produced by the EEA on the current state of protected areas and aims to assist policy makers and the wider public in understanding the complexity of the current systems of protected areas. The EEA briefing 'Marine protected areas' shows the EU's progress on achieving the Aichi target 11 of designating at least 10 % of Europe’s seas as marine protected areas. The EEA maintains an extensive set of indicators, grouped by environmental theme. For biodiversity, the EEA hosts the indicator set developed under the Streamlining European Biodiversity Indicators (SEBI) process. Within this context, the indicator SEBI 007 indicates the status of the nationally designated protected areas and SEBI 008 indicates the status of sites designated under the EU Habitats and Birds Directives. In addition, the EEA provides an indicator of the coverage of marine protected areas in Europe's seas (MAR 004). 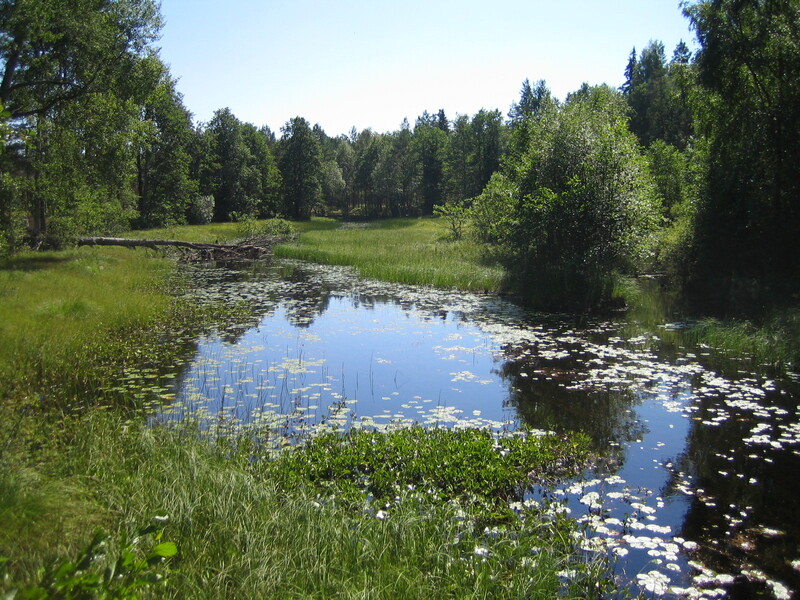 Protected areas are the backbone of nature conservation, but this type of ‘protection regime’ is not sufficient to address the significant pressures on European biodiversity, such as: semi-natural habitats and farmland-related species being lost by abandonment of agricultural practices or its intensification; large scale modification of freshwater systems; pollution and unsustainable fishing at sea. The clear local benefits of protected areas can only be multiplied through societal changes. Bringing Europe's Natura 2000 sites to your pocket Are there nature sites of European importance near you? Are cranes breeding there? What types of habitats and other species can you find at these sites? Check this and other key information on the EU's Natura 2000 network with the updated Natura 2000 viewer. Natura 2000 data - the European network of protected sites Natura 2000 is the key instrument to protect biodiversity in the European Union. It is an ecological network of protected areas, set up to ensure the survival of Europe's most valuable species and habitats. Natura 2000 is based on the 1979 Birds Directive and the 1992 Habitats Directive. This version covers the reporting in 2015. Sites designated under the EU Habitats and Birds Directives Since 2002, there has been a steady increase in the cumulative area of the Natura 2000 network. Sites of Community Importance (SCIs) increased in coverage from 450 000 to 810 000 square kilometres and Special Protected Areas (SPAs) increased from approximately 180 000 to 670 000 square kilometres. Ten countries have designated more than 20% of their territory. Marine protected areas Designed to conserve Europe's marine life, marine protected areas are a globally recognised toolfor managing and enhancing our marine ecosystems. Spatial analysis of marine protected area networks in Europe's seas This European Environment Agency (EEA) technical report presents an overview of the 2012 spatial distribution of the networks of marine protected areas (MPAs) established in the waters of EU), excluding overseas territories. Marine protected areas in Europe's seas — An overview and perspectives for the future Europe's seas are under pressure. Marine protected areas (MPAs) can act as a key conservation measure to safeguard marine ecosystems and biodiversity as well as the services these ecosystems provide. The report provides an overview on progress made to date in establishing MPAs and MPA networks in Europe's seas, specifically MPAs reported by European Union (EU) Member States up to and including 2012. It also discusses how best to assess the effectiveness of these MPAs and determine their effectiveness in protecting biodiversity across Europe's seas. Data centre overview The Biodiversity data centre (BDC) provides access to data and information on species, habitat types and sites of interest in Europe and to related products for biodiversity indicators and assessments. Priority is given to policy-relevant data and information for European and national institutions, professionals, researchers and the public. For references, please go to https://www.eea.europa.eu/themes/biodiversity/europe-protected-areas/europe-protected-areas-1 or scan the QR code.